Not since 2015 has the Vikings advanced deep in the state playoffs. Today, the varsity players will face an undefeated Duncanville Panthers team for Region title bragging rights. Game time is 7:30 p.m. at Vernon Newsom Stadium in Mansfield. 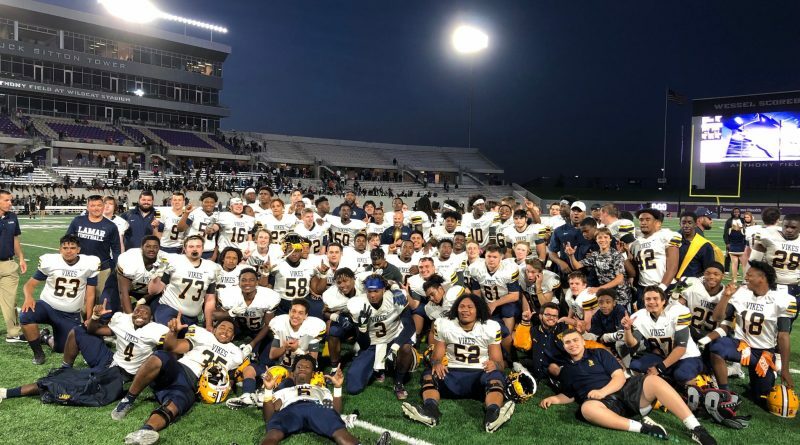 As the sole remaining AISD football team left in the state playoffs, the Vikings entered with a 11-1 season record and a second place finish in district play. Other teams advancing were Arlington (second round), Bowie, and Martin (both first round). After posting wins against San Angelo, 55-14, in Bi-District and Odessa Permian, 49-34, in Area, the varsity team prepares for what is expected to be a “hard fought” battle on the field. The average scores for both schools have a difference of one point; that extra point favors the Panthers according to team stats on Maxpreps. Should the Vikings win the Region round, they will face either Southlake Carroll or Euless Trinity in the state Quarterfinals.